GTA seems to have their hand in every honeypot, which makes sense given that their Facebook explicitly states, “Death To Genres”. We’ve seen them conquer progressive house back in January with Henrix and Digital Lab on “Hit It!”. Then they moved on to killin trap and electro house vis-a-vis “Boy Oh Boy” with the always contentious Diplo. 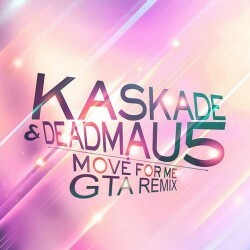 Well, the Miami duo of Matt Toth and Julio Mejia have switched it up yet again, returning to the scene with a chilled out remix of Deadmau5 and Kaskade’s “Move For Me”. While the classic has received more attention than a Kardashian, GTA manages both to keep the original soul of the track yet dip it in a trap-like coating. The result, as you can hear below, is spectacular. Song thievery? Certainly seems so. Van Toth is part of GTA, he must have decided to release it under GTA as well.